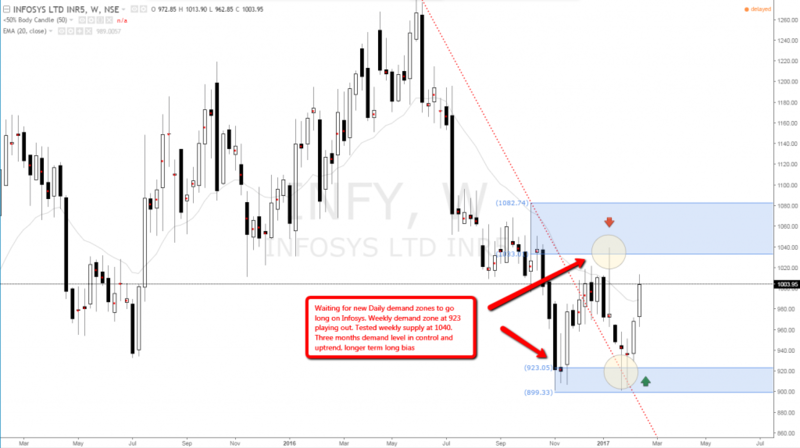 Infosys Indian NSE Stock long bias, weekly demand level in control. 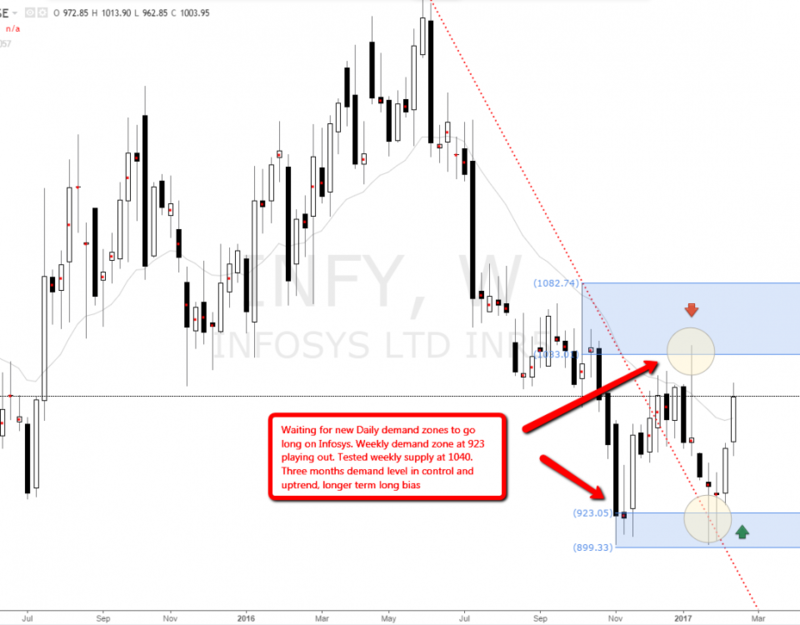 Waiting for new Daily demand zones to go long on Infosys. Weekly demand zone at 923 playing out. Tested weekly supply at 1040. Three months demand level in control and uptrend, longer term long bias.